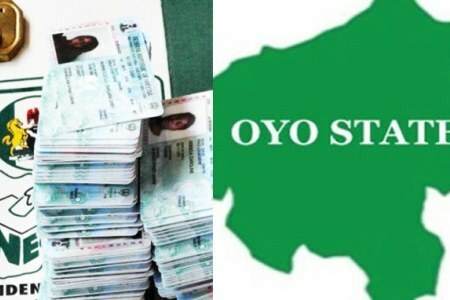 The number of Permanent Voter Cards in Oyo State is 28,539 higher than the number of registered voters in the state. While the aggregate of available PVCs is 2,962,646, the number of registered voters stands at 2,934,107. A record obtained by our correspondent from the Independent National Electoral Commission’s office in Ibadan, the state capital, on Thursday showed that 2,176,352 PVCs had been collected. But the commission’s Head of Publicity in the state, Mr Olayiwola Awolowo, explained the causes of the discrepancy in the figures. He said that some of the owners of the uncollected PVCs are dead, while others had transferred their details to their new locations. He also stated that non-sensitive materials had been distributed to INEC offices across the local government areas in the state while sensitive materials were kept at the Central Bank branch in the state, adding that they would be distributed at the appropriate time. Awolowo said: “The total number of uncollected PVCs is 786, 294 while 2, 176, 352 PVCs have been collected. “The total number of registered voters is 2,934,107. The difference in the figures of the PVCs and registered voters is because some owners of the uncollected PVCs are dead while some have been transferred.